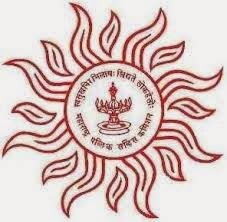 MPSC Recruitment 2015: The Maharashtra Public Service Commission (MPSC) has declared the recruitment notification for the 598 Tax Assistant posts. Candidates can apply the online application start from the 24th April, 2015 and last date of the application is 12th May, 2015. All of the eligible candidates go to visit the official website and then apply to this MPSC Tax Assistant recruitment 2015. The candidates should be applied before the last date of the application date 12-05-2015. Further more details such as the qualification, age, selection process, how to apply and other detail given on this page. The candidate's should possess the degree from the recognized university or Institute or equivalent qualification with minimum typing speed of Marathi 40 wpm and English 40 wpm. The candidate's minimum age limit is 18 years and the maximum age limit 33 years as on 01/08/2015. They also provide the age relaxation for the candidates as per the rules. The candidate's selection is based upon the performance in the written exam and then shortlisted candidates called for the final round personal interview. General candidates have to pay Rs 365 for unreserved category and reserved category must be paid Rs 265/-. Then also pay Rs 15/- for Ex-Servicemen in the form of SBI Challan/Debit/Credit Card/Net Banking/Citizen Service Center (CSC). The eligible and interested candidates apply the online application at the official website at mahampsc.mahaonline.gov.in. It will start from 22/04/2015 and closing date of the online application is 12/05/2015.